Do you dream of playing in the largest football stadium in Singapore under the floodlights and an expanse of AstroTurf under your feet? Jalan Besar Stadium has been one of the greatest motivations that Raffles Soccer Girls has drawn on since we’ve come into some prominence – much like an amateur club turning professional. We’re coming off our first National Schools title, and trying to create a legacy (and knocking some stalwarts off in the process). Soccer is a game usually associated with our male counterparts, and most of us come into the CCA barely having kicked a ball in our lives outside of PE lessons. But perhaps it is this new environment for all of us that brings us together. That, and having the best CCA teachers-in-charge, who always have food in arms – Mr Leong’s famous tins of biscuits! 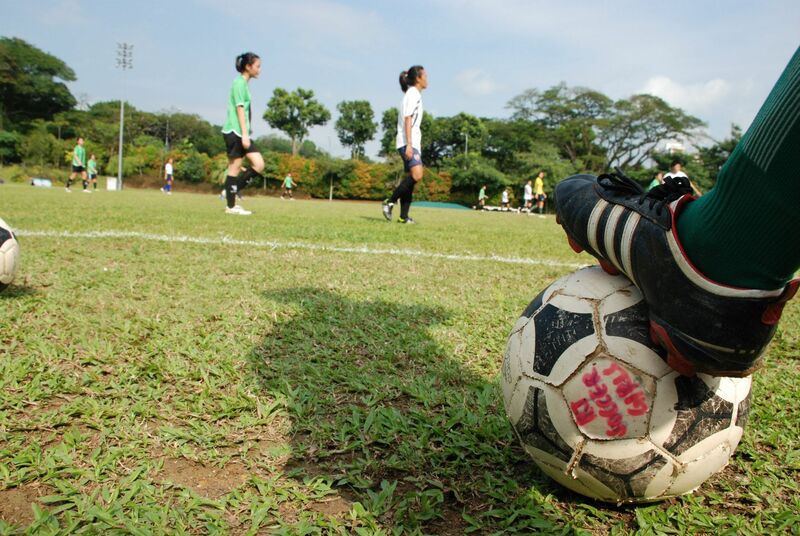 Raffles Soccer Girls has come a long way from our humble beginnings, from training irregularly in various unlikely areas of the school, to being one of the guardians of the main field. We train thrice a week, one physical and two ball trainings at the field. As Mr Leong always says, the best bonding is done through PT. Requirements to join Soccer Girls are pretty fair – basic coordination skills, a good attitude towards training and soccer in general, and some sense with the ball. But really, all we are looking for are passionate girls! Many of us started out with zero experience and as one team, we continue to learn new skills. Kicking a ball may seem counter-intuitive, but that’s the challenge! Come push yourself & do things you never thought you could. Dribble, trap, shoot – discover your affinity with the soccer ball. And, of course, soccer is the place to do it where we learn, make mistakes and perfect our skills together, all under the patient guidance of our coaches Mr Leong and Mr Man. Above all, soccer is a team game. Individual skill can only get you so far – it is in the team spirit that brings out the beautiful game. Every ball training ends with a scaled down match where we learn to trust each other. We then progress on to friendlies on the full field which provides invaluable experience for the ultimate test, the National Schools Championships. Though our time together is short, the shared memories will stay in our hearts much longer. Come join us! As our defender Wan Qi says, “I love soccer because balls are meant to be kicked!”, soccer isn’t all serious trainings and nothing else. As many of our players can vouch for it, soccer will be the best thing that happened to you here in RI. 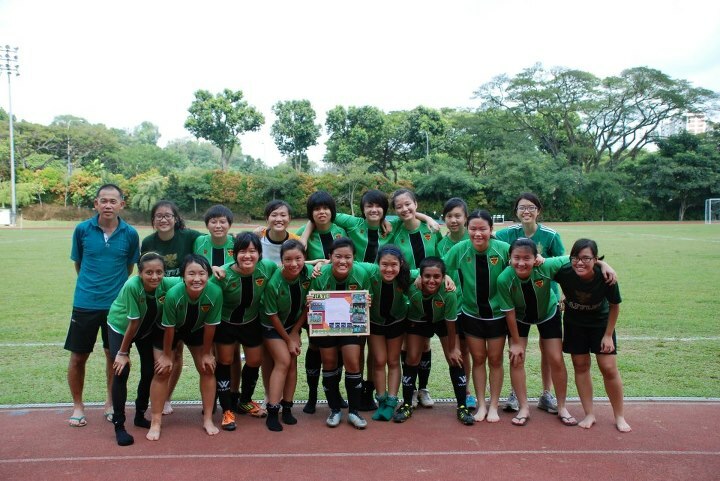 Read our match report about how Soccer Girls won champions for the first time, at Jalan Besar Stadium last year.